Television has nearly 100 years of history, with Samsung Electronics entering the TV business in 1969. Today, however, after several decades of making significant technological advances, the company has become the global leader in the TV industry. 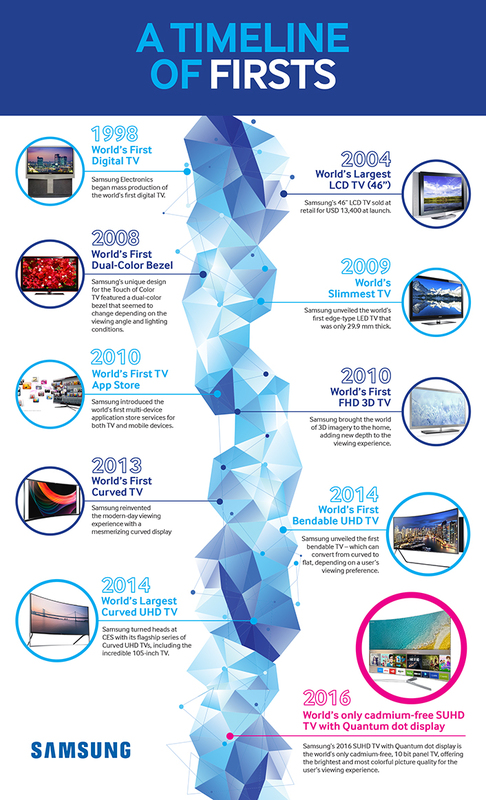 Samsung’s pioneering technologies and innovative products have changed the TV viewing experience for consumers and propelled the company to become the world’s top-selling brand for ten consecutive years. Here is a look at ten of Samsung’s most important world-first achievements.